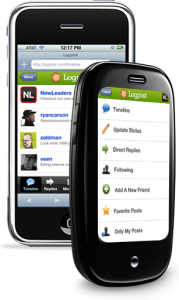 Logpost is an excellent platform for your Twitter anywhere, anytime, powerful but simple interface makes it a worthy application to be taken into account, for any of us who need to communicate their status in his laptop whatever it is, regardless runs Android, iPhone OS, Windows, Palm or BlackBerry. 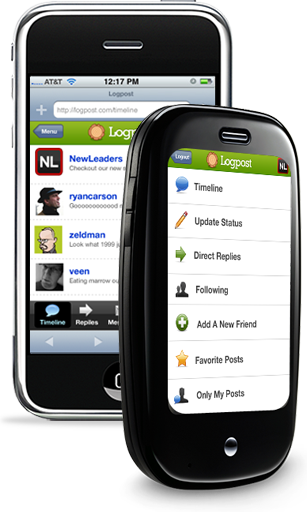 With this extraordinary application will be able to read our Time Line, follow other people, or to certain persons, in direct talks or continue a discussion of the tags, the moment in the famous social network. The best thing is that this application is free and we will only have to use our Twitter account to give access and to continue our contacts we have in this network, enough to accept the application when the Twitter system ask us and ready, and we can install and enjoy this application from our mobile phone.